In the 18th century Jigme Lingpa (1730-1798), also known as Khyentse Özer, Rays of Wisdom and Compassion, discovered, as mind ter, the vast and profound Longchen Nyingtik cycle of teachings together with some original Nyingtik tantras, at the age of 28 years. The Longchen Nyingtik is the heart essence of Longchenpa, revealed to Jigme Lingpa during a three year retreat at Chimphu. At the age of 34 years, Jigme Lingpa moved from Chimpu to Tsering Jong in Southern Tibet where he built a simple hermitage with a meditation school. Jigme Lingpa began to give the empowerments and explanations of the Longchen Nyingtik cycle in 1765, and from then the teachings spread quickly throughout Tibet. Today Vima Nyingtik and Khandro Nyingtik are known as the Early Nyingtik, and Longchen Nyingtik as the Later Nyingtik. It is the most widely practiced lineage of the Nyingtik, bringing together the essential elements of both the Vima Nyingtik and the Khandro Nyingtik. 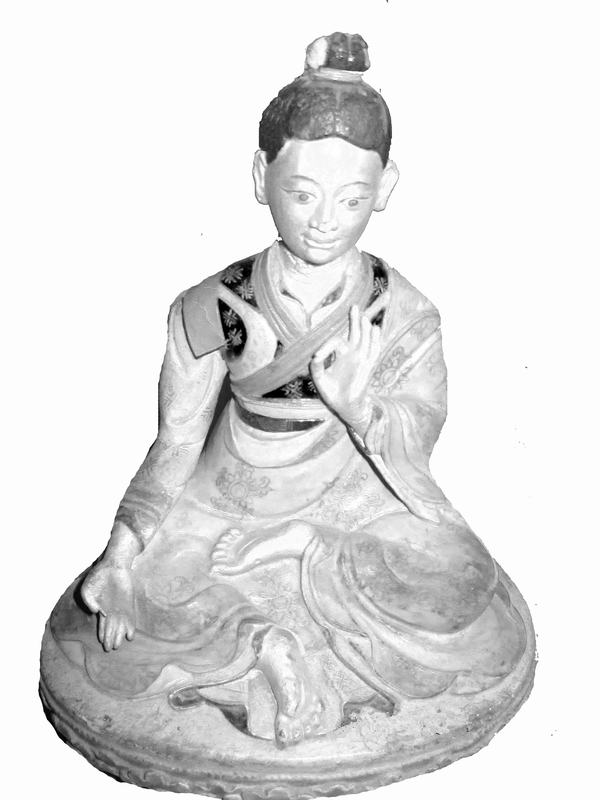 Jigme Lingpa had many distinguished disciples had many disciple including his four heard sons, Jigme Thinley Ozer (1745-1821) The First Dodrupchen Rinpoche, Jigme Gyelwe Nyugu (1765-), Khedrup Jigme Kundrel the First Yongla Lama and Nagchang Jigme Tenpai Gyaltshen (1788-1850) The Second Padtselling Trulku. In Bhutan his tradition is held by successive incarnation of Padtselling Trulku and Yongla Lama Khedrup Jigme Kuendrel.